Have you noticed? Bigger images, less text, more content. 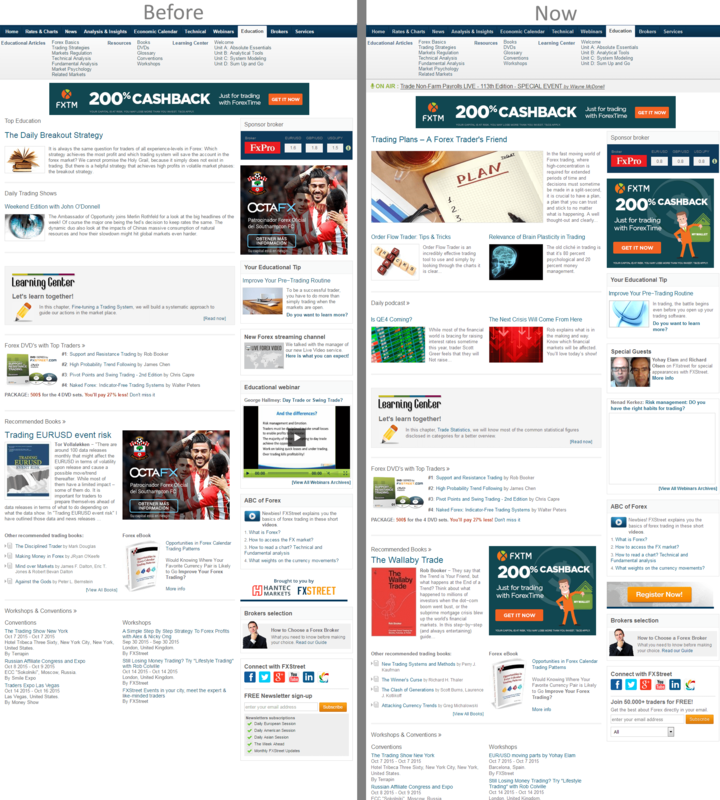 These three concepts could summarize the recent reform of FXStreet’s homepages layout. Driven by the desire to have a visually more contemporary website and to increase the quantity of displayed content without damaging readibility, our team decided to rethink and rebuild the layout of our homepages. Frequent users of our website will notice that we are renewing the database of pictures and that they are bigger than before. Some headlines are bigger too. The new structure lets us display more content than before in a same space, and the first shot is packed with more articles, yet readibility is improved. While the old layout was limiting our editorial team in featuring content when the news were requiring it, the new one opens new options that makes us more flexible.